The price tag and the ultra-compact layout put a damper on this deluxe model. Microsoft’s $99.95 Designer Bluetooth Desktop ($63.16 currently from Amazon) is expensive for the a desktop keyboard. 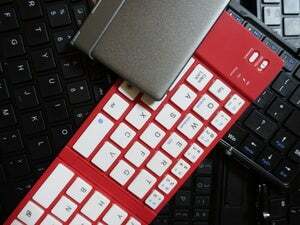 What you're paying for is a high-quality, compact keyboard that can talk to many devices and includes a mouse. What you lose is some versatility. The keys feel luxurious—almost silky—beneath my fingers. The chiclet-type keys have somewhat laptop-like travel yet still allow for a gliding-like typing experience. The tactile response is pretty firm. 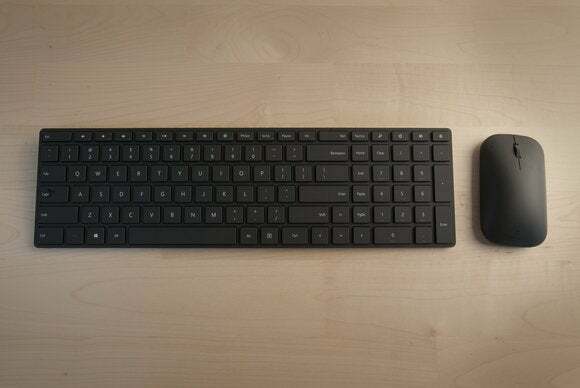 The Designer Bluetooth keyboard is compact to a fault. Because the keyboard lacks the delineations or spacing—between the arrow keys and the number pad, for instance—that you might be used to, it’s a sea of keys when you glance down, which can make it seem cluttered. 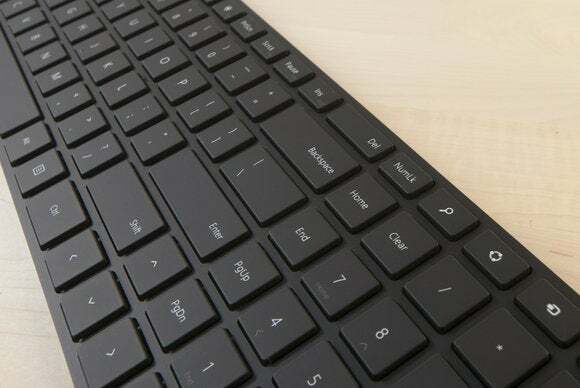 The compact keyboard doesn't leave any space between, say, the cursor keys and the number pad, resulting in a cluttered feel. The number of available hotkeys is decent, including standalone keys for screen brightness and dimming, plus special Windows keys to get to Settings or call up the Cortana digital assistant. I’d like to be able to customize some of them, but you’re stuck with the Designer Bluetooth as-is. Conversely, the keyboard is missing Function keys—one of the few desktop-oriented models we’ve seen that’s lacking in this regard. 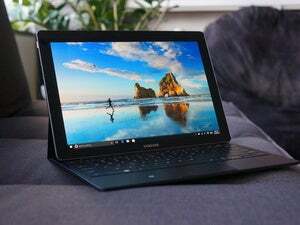 Mainstream users may not miss them, but for power Windows users this could be a deal-breaker. 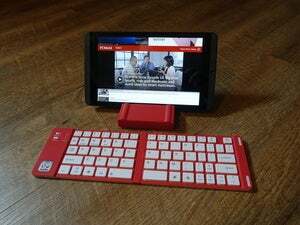 The keyboard does not house flip-out legs, but it sits at an angle anyway because of the battery bar that runs on the underside. The incline of the Designer Bluetooth was not as pronounced as I would’ve liked, but it didn’t slow me down. We have to be fair to the Designer Bluetooth Desktop and acknowledge its premium build. You can tell this is different from your run-of-the-mill slab. Given the price and the slimmed-down key selection, however, this is a keyboard you buy when looks or space take priority.